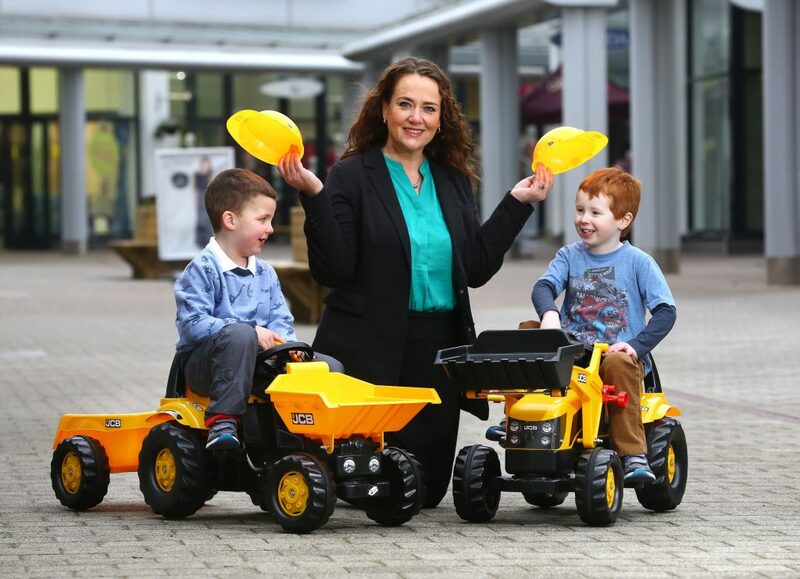 Richard McCorry, Junction One centre manager, Leona Barr, and Josh Kirk test drive some JCB diggers ahead of the opening of Ireland’s first JCB Young Drivers Zone at Junction One Outlet and Retail Park. JCB Young Drivers Zone will open at Junction One Outlet and Retail Park in Antrim next month, making it the first centre in Ireland and only the fourth in the UK. Opening on April 1, the new attraction will boast over 50 ride-on JCB vehicles for 2-8 year olds with a specially designed track featuring bridges, humps, roundabouts and overtaking lanes. The 6,000sq ft track has been designed by local company All Play. 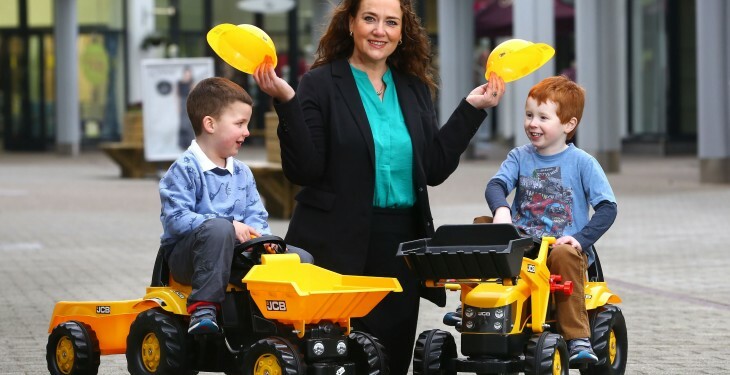 Junction One Centre Manager, Leona Barr, said the track is extremely well designed and has been planned so adults can relax with a coffee while their children whiz around on JCB vehicles or build sandcastles on our mini beach. “We are delighted that JCB Young Drivers Zone is exclusive to Junction One in Ireland – it’s a real coup for the centre. To make it accessible to everyone we’re planning a nominal charge of £1 per child.